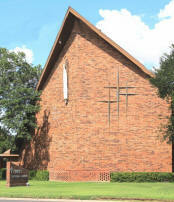 Welcome to Christ Lutheran Church in the name of our Lord Jesus Christ! If you're visiting in Lubbock, we would be honored to have you join us for worship, Sunday School, and Bible Class. If you're seeking a church home in the Lubbock area, we pray the Holy Spirit will guide you to make Christ Lutheran Church your church. May God bless you richly today and every day! Click here to learn "Who is Jesus?" 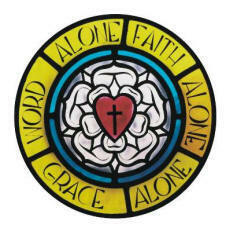 Click here for a Bible study on the Lutheran faith. Click here (or any of the navigation bars) to learn more about us. Lenten services, beginning March 6 (Ash Wednesday) and continuing each Wednesday through April 10th, will be held at 6:30 PM. March 13th through April 10th, the services will be preceded by a Potluck Supper. Holy Thursday services will be at 6:30 PM, April 18th; Good Friday services will be at 6:30 PM, April 19th. Easter Sunrise Worship with Holy Communion will be held at 7:30 AM; brunch will be immediately following the Sunrise Worship; Easter Worship with Holy Communion will be celebrated at 10:15 AM. Sunday School and Bible Classes, 9:00 A.M.
Click here to see the readings for next Sunday's worship. Visiting or Moving to Lubbock? Click here to see the local news and weather forecast (local NBC affiliate, KCBD). Click here to read the Lubbock Avalanche-Journal. Click here for information about Lubbock. Click here for things to do and see in Lubbock.